We have seen the rise of technology for the home in recent years with many of our homes features now controlled by virtual assistants, remote controlled via Wi-Fi or Bluetooth. So many homeowners, especially those technology inclined might wonder if it is well worth investing in smart features for their homes as a way of adding value. Here are a couple of options we see currently on the market – that can upgrade your home to “smart”. Probably the first step to take when upgrading your home to the Smart status is look into AI assistants – like Alexa or Echo. A host of options are available and will allow you to integrate your home settings in various degrees. From controlling lighting, curtains and blinds and heating to reminding you of appointments, weather forecast and recipes, AI assistants look like they will be taking over our homes. From smart TVs, remote controlled gates, smart camera and safety and security features to the mundane kettle or coffee maker, or devices to keep your pet entertained and supervised while you are away, there is a wide range of smart gadgets that will bring your home well into the 21st century. Do smart tech features add value to your home? 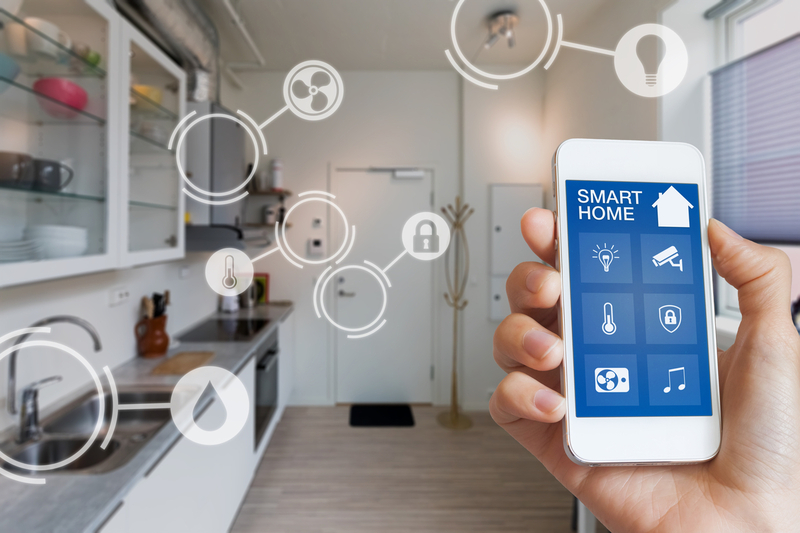 With the many options available in today’s market in terms of technology for the home, you might be wondering if they would increase the value of your home. While other factors have more impact on the overall value of a property – like the location or the number of bedrooms as well as overall state of repair, Some integrated features – like remote operated gates, or security as well as audio systems can have an impact on the overall value of your home. If in doubt, the best thing to do is give our property experts a call so we can discuss your plans and how your property value can be impacted by technology upgrades. We expect technology for the home is only at its very beginnings and is here to evolve and improve our experiences at home for years to come.